Say goodbye to the rainy season and welcome winter with our newest series of "Drink with Altitude", introducing you to Bangkok's best rooftop bars. Let's start with one of Bangkok's most popular nightlife areas, Thonglor-Ekkamai. Have a drink and enjoy some fresh breeze on top of Bangkok; these 11 places are worth checking out (list is in no particular order). 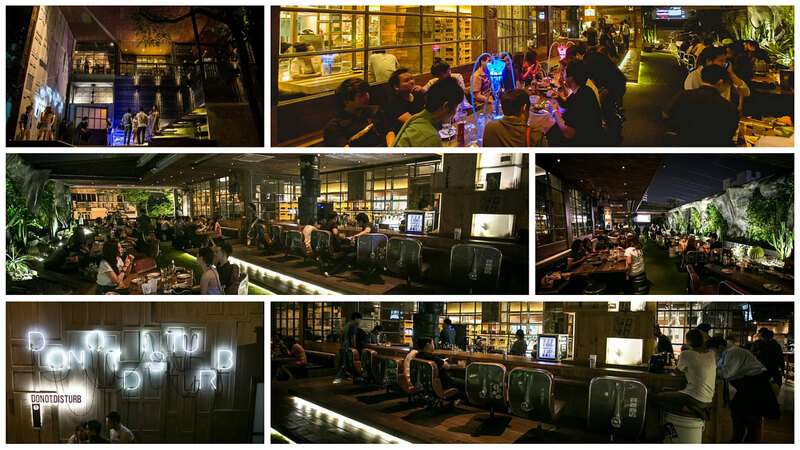 KuKKuuK Yakiniku Café is a Japanese vintage style restaurant and bar on top of the trendy nightclub "Do Not Disturb". The restaurant best seller is Shabu, a Japanese dish featuring thinly sliced meat or seafood boiled in water. The venue attracts a mixed crowd of Thais and expats from all ages. The interior design is mostly Japanese with a playful touch in form of hundreds of anime figures spread throughout the venue. For its dining guests, KuKKuuK Yakiniku Café offers separate onsen private areas. The outdoor terrace emphasizes a natural touch with lots of plants and stone bricks covering the walls, giving it a garden like feeling. Click here for more information. 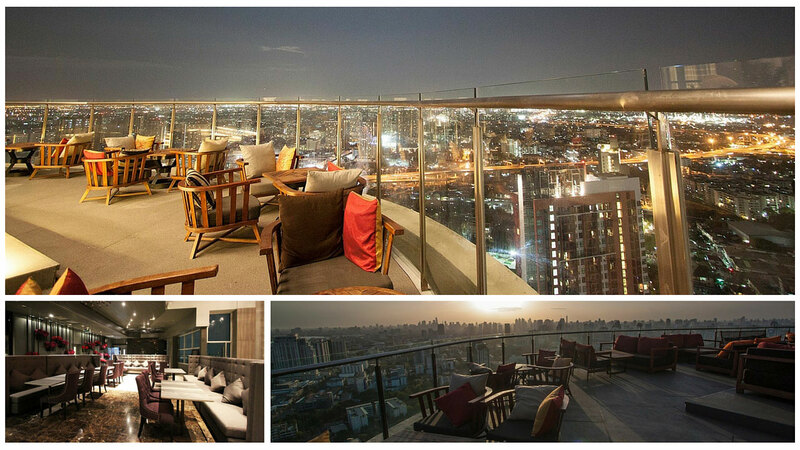 Dress up and prepare yourself for one of Bangkok’s most picturesque skyline views at Octave Rooftop Lounge & Bar. The place attracts both locals and tourists offering them beautiful exterior design and a welcoming atmosphere. 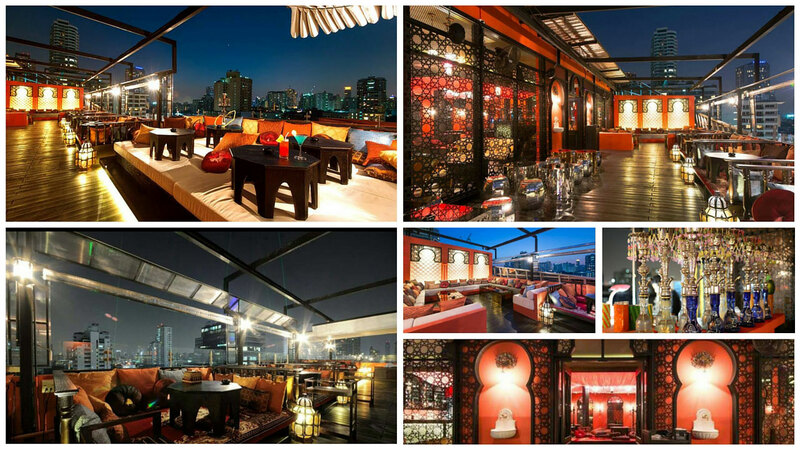 Octave Rooftop Lounge & Bar occupies three floors on top of Bangkok Marriott Hotel Sukhumvit. Dine and Chill on the 45th and 46th floor with a fine selection of Thai and international dishes or sip your favourite cocktail while enjoying the 360º view of Bangkok on the building's rooftop (49th floor). Click here for more information. 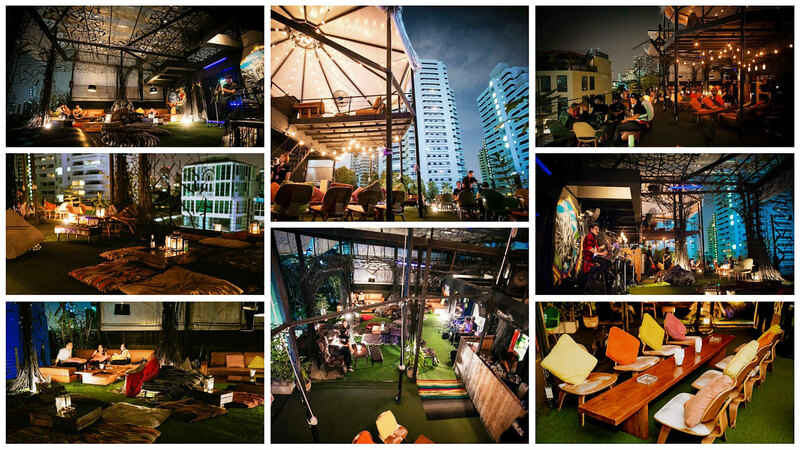 Roof Hideaway is located on the 3rd and 4th floor of Muse, a well-known nightclub in Thonglor. 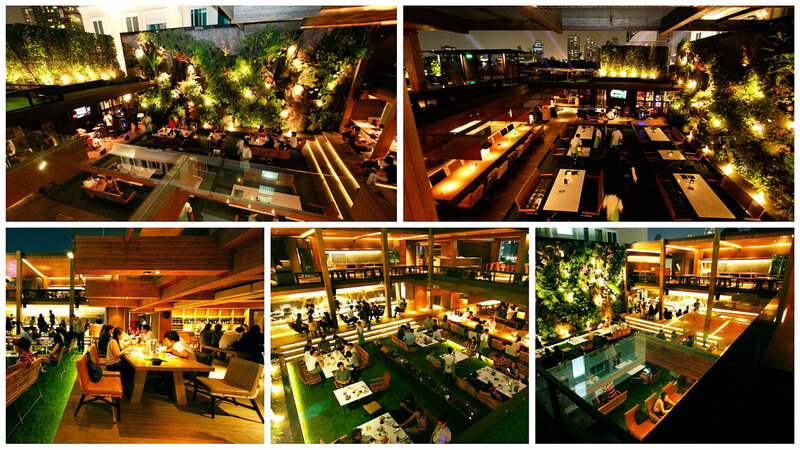 The restaurant is split into two levels, decorated in a beautiful wooden style. Listen to acoustic music from live bands every night while enjoying their fusion menus such as wonton cheese wraps, sweet fried shrimp with wasabi and various style of spaghetti. The venue currently offers a Chang Classic beer promotion: buy 3 get one free. Click here for more information. 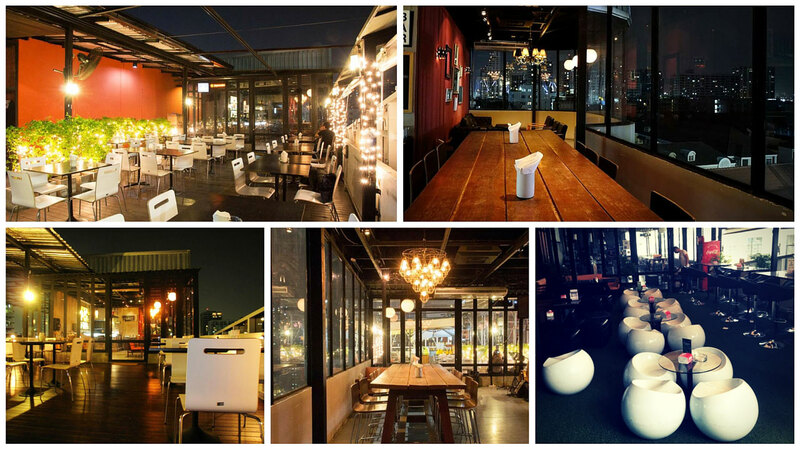 Spend your evening after work on the 4th floor of J Avenue in Thonglor at Enchanted Bar. The venue is decorated in a beautiful and modest way. If you like privacy, the air-conditioned area comes with comfy sofas. The outdoor area has some beautiful light instalments giving it a romantic touch. Soak up the cosy and relaxing vibes by listening to their live band playing some easy tunes while you lay back and enjoy a yummy cocktail or shisha. Click here for more information. 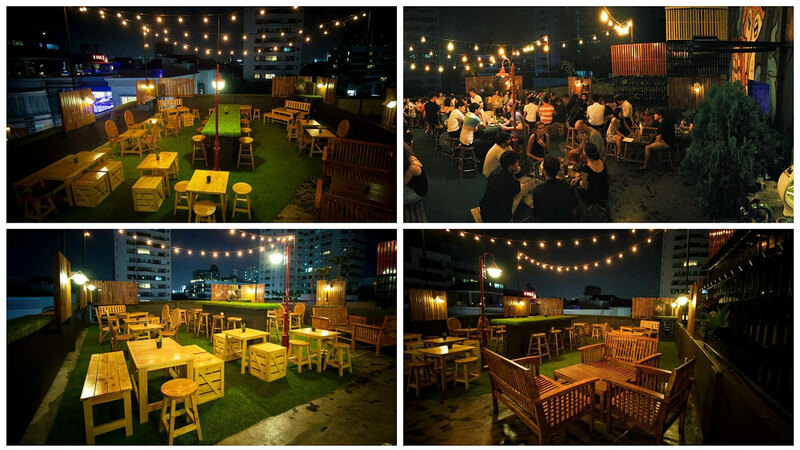 Wanderlust Rooftop Bar is a little bit hard to find but you won’t regret it once you get there. Once you enter the premises you will instantly feel like you have been thrown into a big green garden as the whole place is covered in fake grass (even the tables). Acoustic bands will be playing on Thursday to Saturday from 20:00 to 00:00. If you plan to spend your birthday at Wanderlust you're in for a treat - they currently offer 20% off your bill. From December on, Wanderlust will be selling "Est. 33" craft beer from Singha. Click here for more information. Are you looking for a bar with vegetarian dishes? Bangkok Bar Infinity is the place for it! The retro style restaurant and bar has 2 different zones, the indoor area with air condition and the outdoor area which just recently got refurbished presenting itself in a fresh new look. The menu features a wide variety of Thai food and a huge selection of alcoholic beverages. If you’re a Bangkok Bank credit card holder, you can receive 15% off until December 31, 2015. Free Wi-Fi is also available for all guest. Click here for more information. 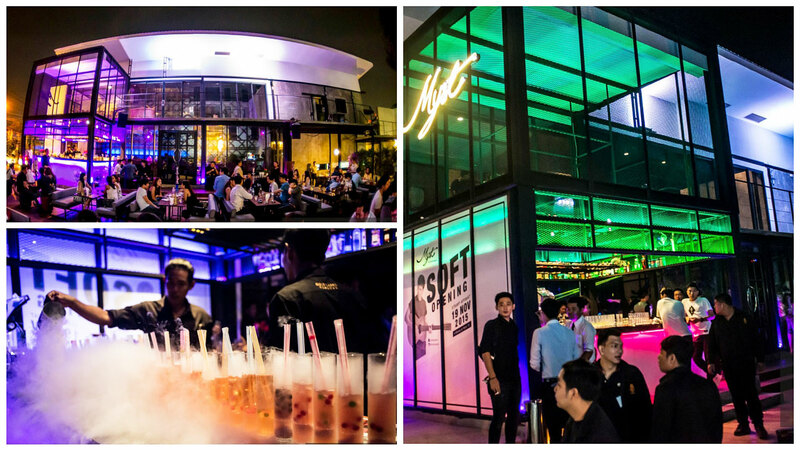 Myst Rooftop Bar and Restaurant just relocated to a new and bigger home in Thonglor Soi 10 (Soi Ekkamai 5) near Nunglen, one of the popular nightclubs in the area. Myst is well-known for fascinating cocktails created by molecular gastronomy techniques. Myst mostly plays Hip Hop and sometimes EDM music. They also have live bands playing on Friday and Saturday nights. For a limited time to celebrate the new opening, you can contact their marketing team to get a 15% discount on your bill. Click here for more information. 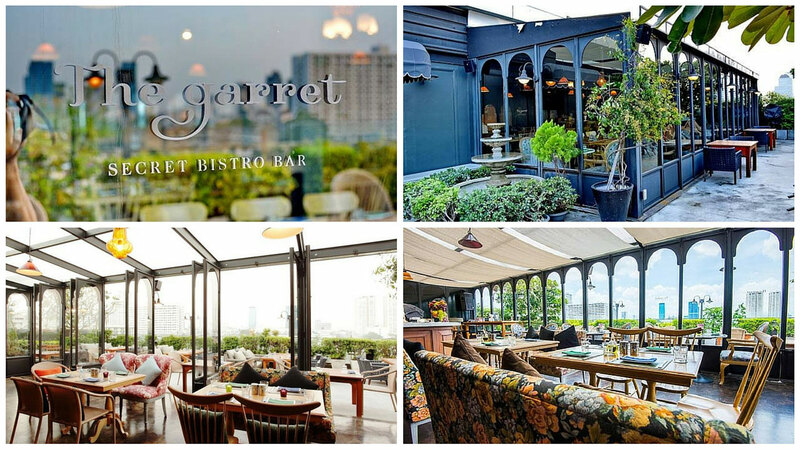 A daytime family style restaurant, The Garret Secret Bistro Bar can also be romantic at night time. The restaurant offers delicious Italian food such as pizzas, as well as burgers and steaks. Exotic cocktails and a variety of drinks are available at the bar. Currently, there is a 30% discount promotion for lunch from 11:30 to 14:30. If you visit Garret Secret Bistro be sure not to forget your credit card as you'll get a huge discount (20% for Citibank, 10% for all other cards). Click here for more information. A great hangout spot with an Indian touch and a popular shisha bar, Desi Beats, plays joyful Bollywood and up to date music. It is decorated in Indian and Moroccan style. The food menu features Thai and Indian dishes like Butter Chicken and Paneer Tikka Masala. They also offer a good selection of beers, wines, cocktails, and whiskeys. Click here for more information. EYWA is located on the 4th floor of Grease Nightclub and is an ideal place if you want to leave the chaos of Sukhumvit behind you. 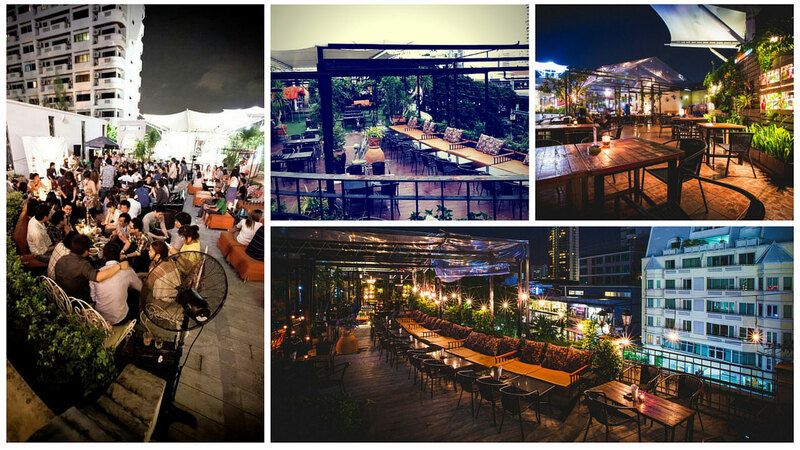 EYWA is probably one of the most beautiful designed rooftop bars in town. Relax while smoking a shisha or try a dish from their International menus such as Duo-Lamb, Beef Tenderloin or Cheese Platter. The menu offers many types of drinks with good selections of cocktails and wines. If you still have the energy, you can hit the dance floor of LSD club room on the 2nd floor. Click here for more information. Cielo Sky Bar & Restaurant is an ideal place to chill out with your friends after a hard day at work or on a special occasion. 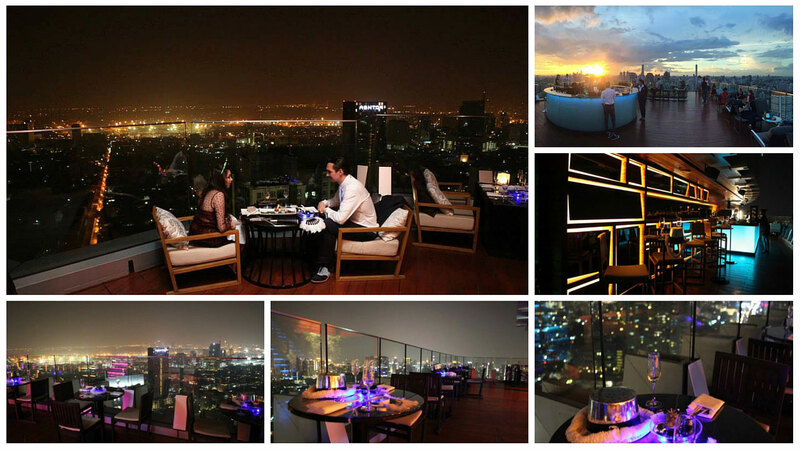 Cielo has a beautiful 360º view of Bangkok and is a great place to enjoy the sunset. The restaurant offers Thai and Italian cuisine such as Roasted duck leg, rosemary hoisin glaze, Pan seared snow fish, Seared Tuna Sesame Crust and many more. Be sure to try their signature drink, a beautiful crafted Mojito with fresh Thai herbs. Click here for more information. We hope you will have a great time with your friends at one of these places. We’ll be back with more rooftops in other areas around Bangkok. Don't forget to share this article with your friends and if you have any suggestions, we're looking forward to hearing from you in the comment box below.